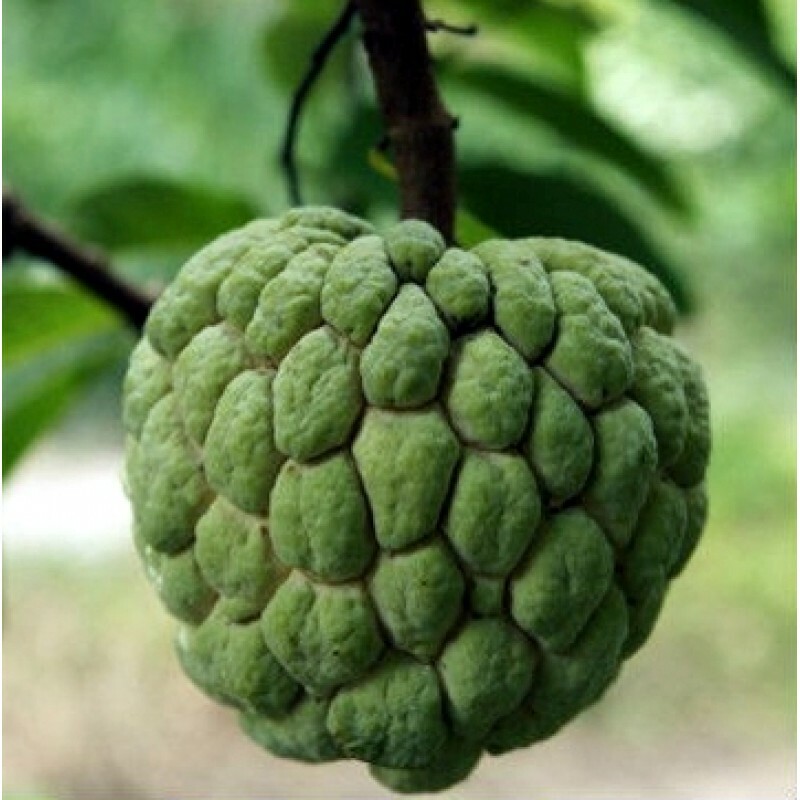 Annona squamosa or or Sugar Apple or Sitaphal is a multipurpose semi-deciduous small tree, which is rich in medicinally and industrially important bio-active components present all its parts. The fruit is known as the "Aristocrat of Fruits" for its nutritional value. This native Amazonian tree has many sister varieties now cultivated in India in many parts, mainly in Bengal. Ramphal or Annona reticulata is one among them which is commonly seen. A large deciduous shrub or small tree about four to eight meters tall. Leaves are simple, oblong, lanceolate or elliptic, glabrous above and alternately arranged. Flowers are fragrant, creamy yellow to greenish, seen solitary or in groups of up to four in leaf opposed cymes. The fruit is globose or ovoid, yellowish green when ripe, embossed with prominent scales with soft creamy pulp. Seeds are hard, brownish black and smooth in texture. Roots are powerful purgatives and are also used in dysentery. Acetogenins found in the seeds of Sitaphal would actually help fight plant pests. The Sitaphal pesticide is inexpensive, environment-friendly and highly effective in containing a variety of pests on a number of crops. The seed extracts also showed synergistic activity in combination with neem seed extract in pesticidal action. It is nourishing, increases blood (Hb count), sweet, cooling, heart tonic, provides strength, helps muscle building and alleviates burning sensation, bleeding disorders and disorders of vaata.